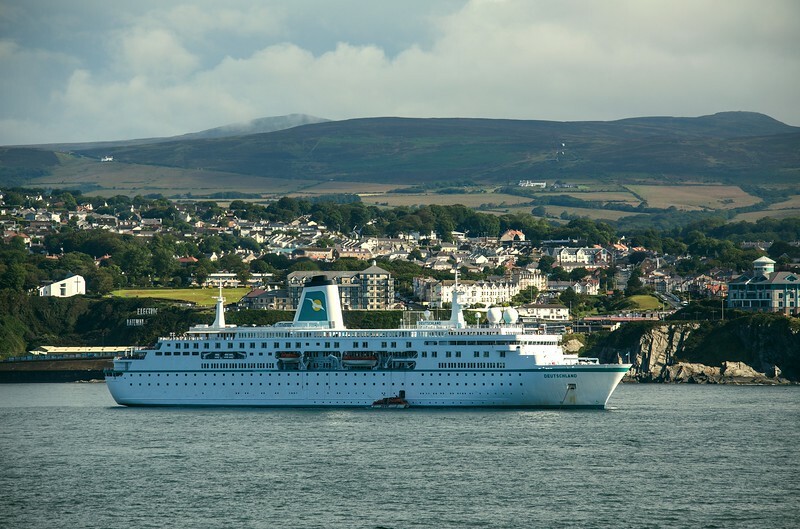 'Deutschland' at anchor off Douglas, Isle of Man on 22nd July 2017. She was on a round Britain cruise from Bremerhaven. Built in 1998 and 22,400 GT.